Jenny and Fyodor are playing together. “The clicker philosophy” includes finding really good rewards. 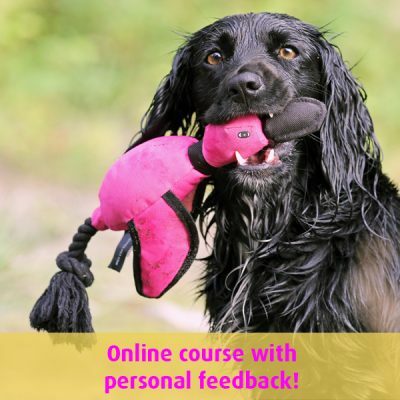 Sometimes the students who come to our retrieving classes say to us that they certainly enjoyed the class a lot, but they “thought we would use the clicker more”. In our classes, you can of course use the clicker as much you want, and we also use the clicker as soon as we think that the clicker suits the training – because we do clicker training , but that doesn’t mean that we always have a clicker in our hand when we train our dogs. It is actually not the little box that is the most important thing in our training – it is the way we think – and then act. 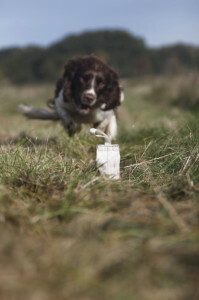 It is, maybe especially in the gun dog training, not always effective to use the clicker. For example, if you want to reward your dog for stopping 50 yards away when you blow your stop whistle, the dog will probably not hear the click, in such cases it is of course better to just shout, “good” and then go to the dog and reward her or cast her to a reward. Don’t get us wrong now. 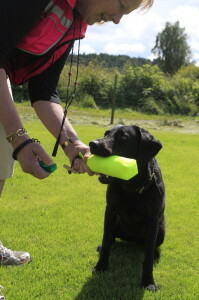 In our opinion the clicker is a great instrument, which works a lot better than just “good” when we want to tell our dog that she has done the right thing and that she soon will get her reward. 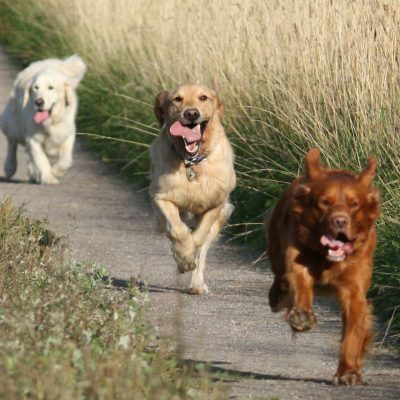 Once you have practiced the timing a bit (most people probably think that it is a little trick in the beginning) it is as if that clicking sound helps a lot and the dogs learn at a lightning speed. 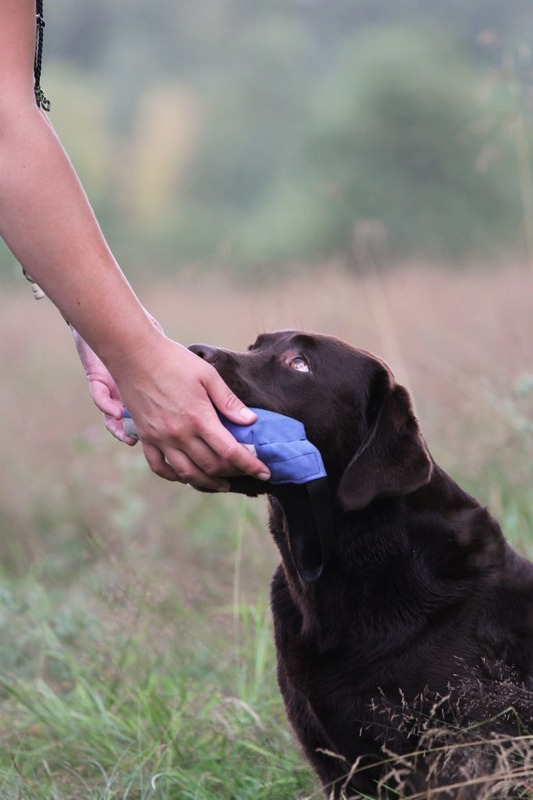 In the basic training, when we teach the dog basic skills such as the hand target, we prefer to use the clicker as a reward marker, because it is easy for the dog to understand exactly what we like in the dog’s behavior. 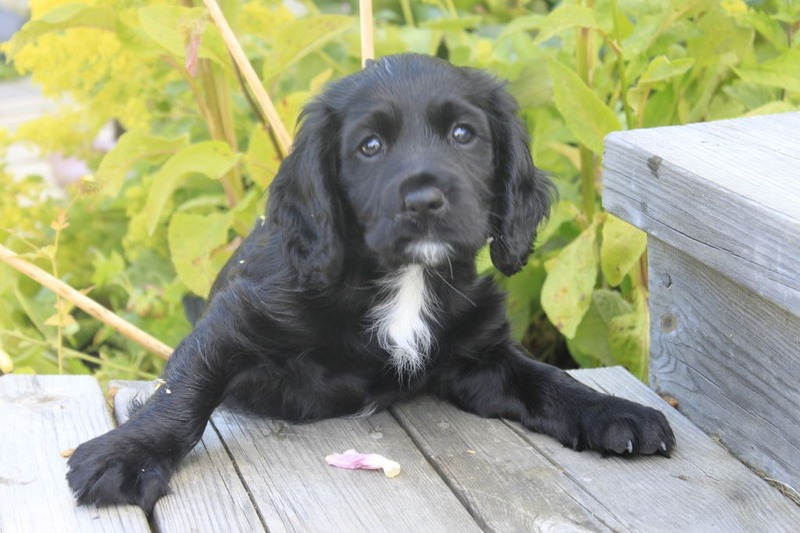 When the dog knows more – the further we get in our training – we often leave the clicker in our pocket. 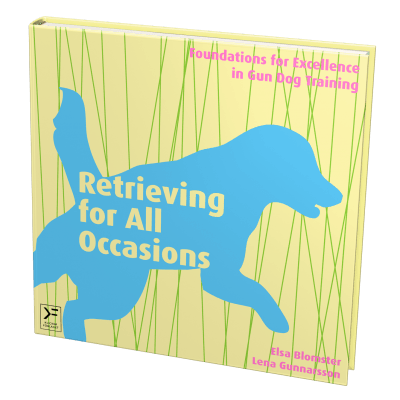 When the dog knows the basics, we begin to put together different behaviors to one behavior and we don’t always need to be as exact when we give the dog a reward. It will come when the job is done. Moreover, the training itself is a reward for many dogs and we don’t need to click when the dog for example is searching. Molly clicks when Nike holds the dummy. So, it is not the clicker that is the most important thing in our training – it is the clicker philosophy. But what does that mean? Well, it means that we are constantly looking for the correct behavior so that we can reward it (at the same time we, of course, prevent the dog in a nice way from rewarding herself or do something we don’t like). We do this all the time, not only in our planned training situations, but also in everyday life, because the dogs learn all the time – not just when we think, “Now we are training”. We build our training on the dog’s own interests and initiative – we call that voluntariness or offered behaviors. It doesn’t mean that the dog should offer a lot of tricks and behaviors all the time (even though we of course reward that sometimes) instead it means that we reward the dog for doing good things without us telling the dog to do so. That is, if the dog takes an initiative to do something we reward it, if we like it. (If we don’t like it we either ignore it completely – if the dog doesn’t get a reward she will not continue with that behavior, because it doesn’t pay off, or we make sure that we teach the dog what we want her to do instead). We also make sure to train the dog in small steps so that she always succeeds. The dog learns the behavior from many successful repetitions and after a while the dog feels confident about the behavior. We then use the small parts that the dog has learned to form a complete behavior. We also count the number of successful repetitions – that is, how many times the dog has don the correct behavior – ant that helps us to confirm how well the dog knows the behavior. If the dog gets it wrong many times, we simplify. If the behavior is correct we make the exercise a little more difficult. A good rule of thumb is that four out of five repetitions should be correct before we increase the difficulty. The best reward for Sam: To fetch the dummy. Reward the correct behavior (and prevent the dog from rewarding herself) – and choose a reward that the dog really likes! Encourage the dog to take her own initiative (voluntariness). Reward marker – somehow we must mark that the dog has done the correct behavior, either with a clicker, with words, or some other signal. We focus on the fact that the dog should be successful when she does the exercise. This means that we plan the exercise so that we are almost sure that the dog will succeed. 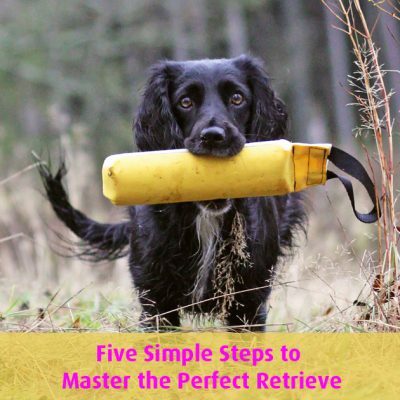 If the dog does the exercise correctly four out of five times we make it a little more difficult and if the dog gets it wrong, we make it a little easier. As a bonus, we get dogs that love to train and that engage in all the exercises because they think it is so fun. Moreover, we become happy ourselves, because we look for good things all the time! The clicker philosophy is not something that we put away now and then; it is something that we have with us all the time – with or without the little clicker.